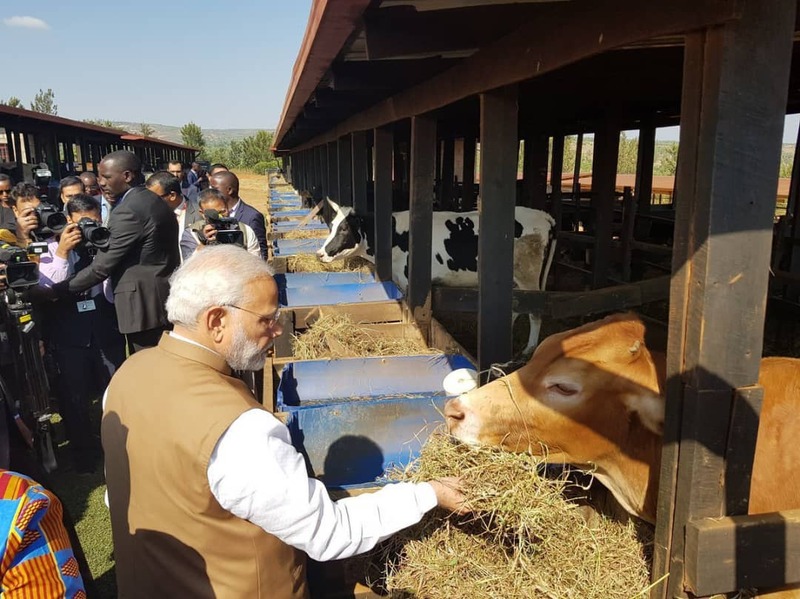 KIGALI – On Tuesday, Indian Prime Minister, Narendra Modi visited Rweru, a model village in Rwanda’s eastern province and donated 200 cows – all sourced locally as part of India’s contribution to Rwanda’s One Cow Per Family programme. The programme also known as ‘Girinka’ (may you have a cow) aims at fighting poverty and malnutrition among rural people in Rwanda. Under the ‘One Cow Per Family’ program, poor families are given dairy cows by the government and the first female calf born of that cow is then given to the neighbor, as an economic contribution to other members of the community. 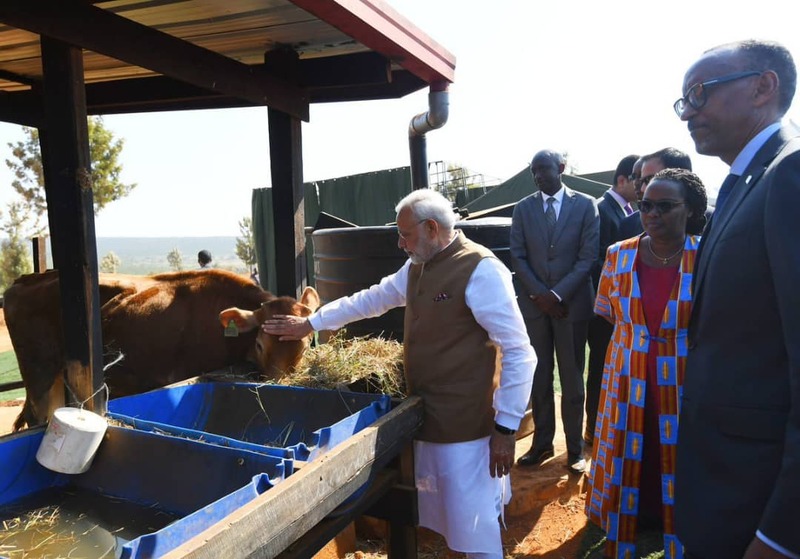 Modi said that people in India too would be pleasantly surprised to see the cow being given such importance as a means of economic empowerment in villages, in faraway Rwanda. 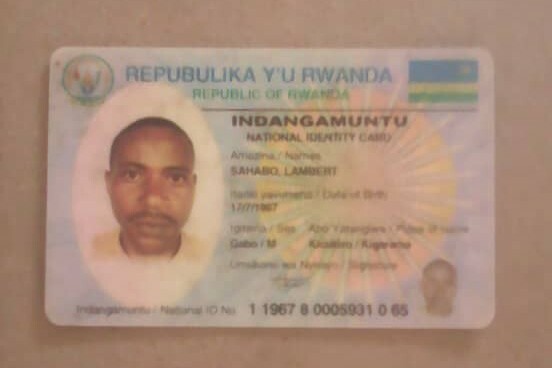 Speaking in Rweru model village where he was accompanied by host President Kagame, Modi described the programme as transformative to villages in Rwanda, but suggested it be supplemented with honeybees which would provide additional benefits. Modi pledged support from the government of India towards such an intitative. 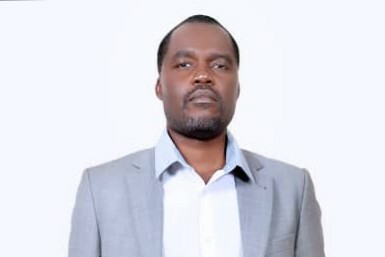 The ‘Girinka’ programme was initiated by President Paul Kagame in 2006 in response to high rates of childhood malnutrition and as a way to accelerate poverty reduction and integrate livestock and crop farming, the statement said. 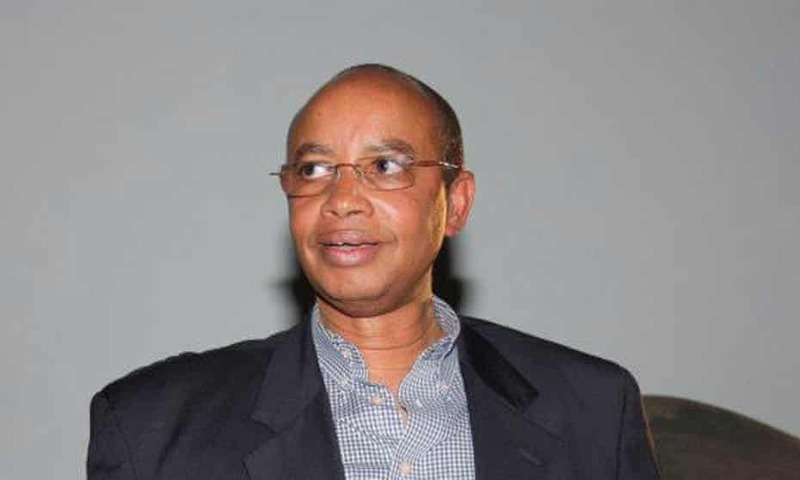 Beyond provision of milk to poor households, government of Rwanda believes that cow dung which is used as manure would significantly increase the fertility rate of gardens. The Indian Prime Minister arrived in Rwanda, late Monday for a two-day visit, and the two countries have signed a number of bilateral agreements including loans and grants worth millions of dollars. President Paul Kagame of Rwanda welcomed Modi who is visiting the country for the first time at Kigali International Airport on Monday. Modi’s visit comes hours after Chinese President Xi Jinping who arrived in Rwanda late Sunday for a two-day visit departed, heading to South Africa. 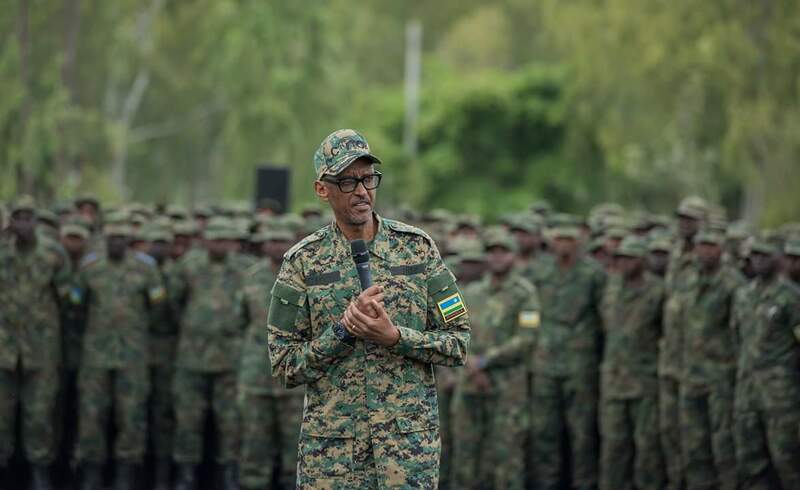 “We are pleased that Prime Minister Modi has been accompanied by a business delegation because we have a lot of work to do together in this area,” President Kagame said. President Kagame and Prime Minister Modi attended the India-Rwanda Business Forum bringing together businessmen and women from India and Rwanda around the theme “Optimizing Innovation for Industrial Development”. Modi also toured a memorial for victims of the 1994 genocide against Tutsi and laid a wreath at the mass graves honoring the more than one million victims of the genocide perpetrated by Hutu extremists against the Tutsi ethnic group and moderate Hutus. Upon departing from Rwanda, Modi proceeded to neighboring Uganda where he arrived Tuesday afternoon and will head to South Africa on Wednesday to attend the BRICS Summit.